One hundred years ago, the driver of a car carrying a visiting dignitary took a wrong turn. The error set in motion a chain of events that resulted in changes that affect us this day. That one mistake left 7 million people dead. It led to the collapse of European monarchies. It instigated the rise of communism and Nazism. It permitted strife to continue to recent times in parts of Europe and the Middle East. 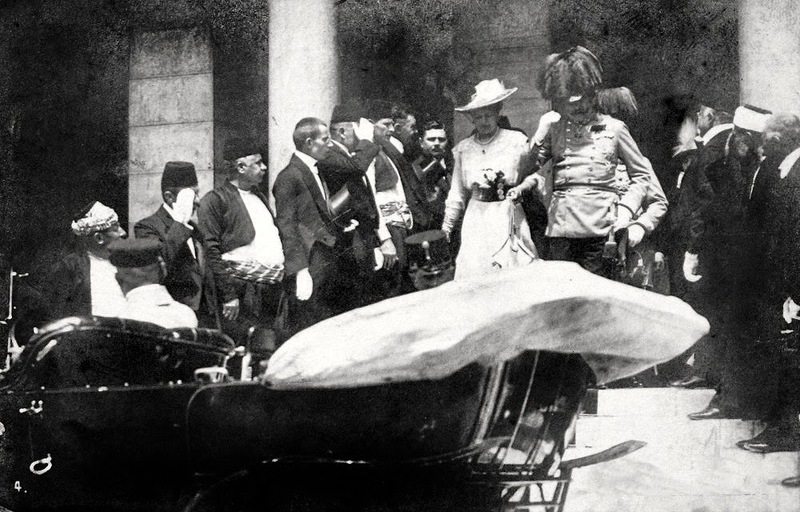 Today's collapse in Iraq—that's one consequence of what happened on June 28, 1914. The wrong turn gave Gavrilo Princip, a Serbian nationalist, an opportunity to assassinate Austro-Hungarian Archduke Franz Ferdinand and his wife, Sophie, who were riding in that car. One month later, armies throughout Europe massed for battle in what was then known as "The Great War." 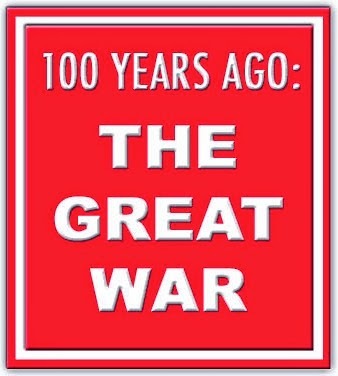 Two decades later, The Great War was renamed World War One, as an even deadlier conflict began. World War Two killed even more people—more than any war in human history. The Romanov dynasty, an empire slowly falling into decay, collapsed in an instant. The Romanovs were inept at waging war. Their soldiers and sailors were deserting. Filling the void was a revolutionary movement, the Bolshevik Party, led by Vladimir Lenin. The Soviet Union was created and, over the course of a few decades, it industrialized, militarized and became powerful enough to be able to threaten the world in nuclear Armageddon. The punitive terms imposed on Germany by the victorious Allied Powers created economic suffering for the German people and a belief that they had been "stabbed in the back" by their own democratic Weimar government, which had to sign the dictates. Capitalizing on these injuries, a failed painter named Adolf Hitler gained a following, took power, created a war machine, invaded its neighbors and ordered a holocaust that killed more than 7 million civilians. Japan, an ally in the conflict but ignored in the postwar Versailles negotiations, decided it needed to adopt a go-it-alone policy. Japan became more militaristic. It conquered Korea, Manchuria and much of the rest of China, plus Indochina and the Philippines. Without The Great War, there would be no need for Pearl Harbor and no need for Hiroshima and Nagasaki. New national boundaries were delineated after the war. In many cases, they ignored traditional ethnic, cultural and religious lines. The diplomats were sometimes clueless as to the desires of the local populace. They gave more credence to their own colonial interests. The postwar Versailles conference in 1919 gave the world Yugoslavia, a futile amalgamation of Balkan peoples. After decades of keeping the lid on the pot, the country finally blew up in the 1990s. Wars and ethnic cleansing occurred in Bosnia, Kosovo and Croatia. Other postwar agreements created Iraq and the British Mandate of Palestine. As with Yugoslavia, different religious and cultural groups were thrown together in the expectation that their peoples could live together harmoniously. The United States' entry into the war in 1917 meant the end to American isolation from European affairs. From then on, the distance between the Atlantic shores grew smaller and smaller. At the outset of American involvement, President Wilson vowed that The Great War would be "the War to End All Wars." By the end of the war, his idealism was challenged here and abroad. World War One resolved no important issues. It allowed woulds to fester and new issues to develop. It made inevitable a second global war. Fifty million to 80 million people died in World War Two through combat, bombing, ethnic cleansing, execution, starvation and disease. Roughly 3 percent to 4 percent of the world's people lost their lives. Of course, a world absent The Great War would have continued to struggle with the tensions of nationalism, industrialization and democratization. But those struggles might have been addressed regionally or bilaterally, without a global war. Indeed, there was the belief by many in Europe that economic interrelationships made war impossible. The belief in accommodation and gradual change ended on that morning of June 28, 1914. A Serbian nationalist, whose name is obscure to all but historians, tried to assassinate Archduke Franz Ferdinand with a grenade. He failed. An Austrian general directed the archduke's six-car procession to change its route, but he did not inform the driver of the archduke's car. The driver headed along the wrong route. Realizing his mistake, he back out of a street to resume the procession. 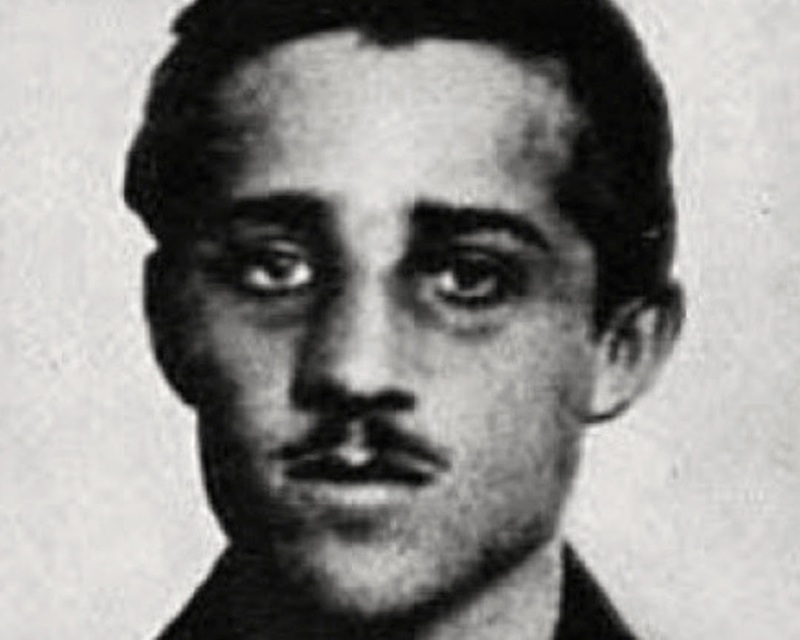 That brief delay gave Gavrilo Princip, the Serb nationalist, the opportunity to pull out his gun and shoot the archduke and his wife, both of whom died almost immediately. The tragedy occurred in Sarajevo, the Bosnian city that was nearly shelled into oblivion by Serbia during the 1990s, during one of the seemingly endless string of Balkan wars. Princip was a member of the Black Hand, a secretive group formed by the Serbian Army in 1911 to seek unification of all territories with Slavic populations not ruled by the Serbian government. One of those territories was Bosnia, which had recently been annexed by the Hapsburg rulers of Austria-Hungary. The Austro-Hungarian Emperor, Franz Josef, grieved for the loss of his nephew, the presumptive heir to the Hapsburg throne. German Kaiser Wilhelm II, a friend of the murdered archduke, felt the tragedy needed to be avenged. Germany encouraged Austria to stand against Serbia. Russia, the Serbs' protector, threatened war against Austria if that happened. Germany promised to support Austria against the Russians. The French, who had a mutual defense treaty with the Russians, warned Austria and Germany against moving against Russia. Germany in turned warned France it would fight. Britain had an understanding with France; it would cooperate with France if German troops entered French soil through Belgium. When Serbia ignored the Austro-Hungarian ultimatum one month later, the dominoes began falling. By early August, the Central Powers—Germany and the Austro-Hungarian empire—were at war with the Allied Powers—France, Russia and Britain. Soon, the Ottoman Empire joined the fight on Germany's side, a crucial mistake that ensured the dismemberment of Ottoman territories even while the fighting continued. Over the next few weeks, I'll recount some of the events that occurred in the lead-up to the war. But if you're so inclined, I suggest you get a copy of Barbara Tuchman's epic, "The Guns of August," which details the history behind the war and the early days of the conflagration. My copy is battered from having read it again and again since the 1990s. Subsequent research counter bits of Tuchman's work. But hers remains the masterpiece. The book has been reprinted several times since its original 1962 publication. If you can find one at your bookstore or library, it's worth your while to read it. Its tales of hubris, miscalculation, nationalism and vanity remind us of the continued failings of government and its citizens. Though written 50 years ago, the story reminds one of the events surrounding Iraq in 2003.